In fact, according to a translation of his full interview with the Israeli newspaper Makor Rishon, Lau did use the Hebrew word for a synagogue – “beit knesset” – to refer to synagogues like Tree of Life Congregation in Pittsburgh, and at the same time offered a full-throated, and even perturbed, dismissal of those who would make such petty distinctions at a time of tragedy. That sort of slight is profoundly hurtful to non-Orthodox Jews. Over the years, Israel’s haredi Orthodox-run establishment and media rarely or never refer to their rabbis as rabbis and its synagogues as synagogues. It is a rhetorical insult that reflects the indignities that Reform and Conservative rabbis and lay leaders, representing the majority of affiliated Diaspora Jews, face in their campaign to be fully and legally recognized in the Jewish state. We noted that Lau’s remarks “fueled a debate” over pluralism in Israel. 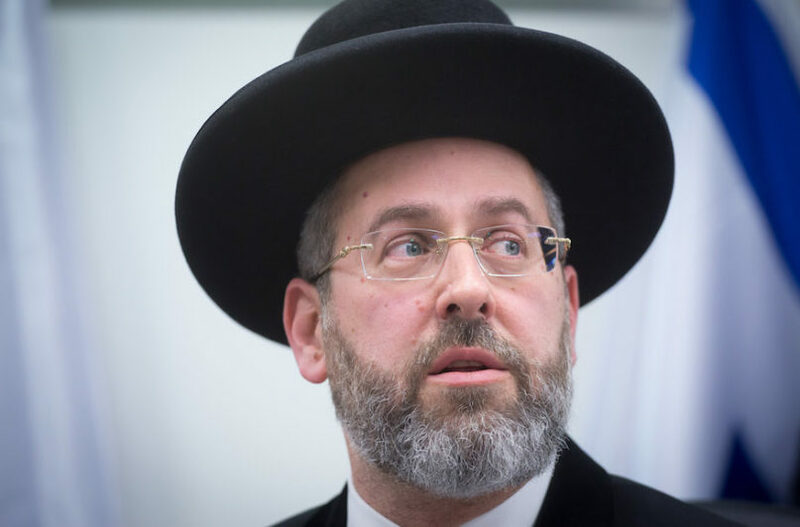 Lau continued in this impassioned vein after the interviewer noted that the haredi media won’t use “synagogue” to refer to a Reform or Conservative house of worship. Lau said he doesn’t speak for the haredi media, and that he often disagrees with what they do and write. As for the “a place with a profound Jewish flavor” quote, here is the context. The reporter asked, “Is it a synagogue?” Lau replied, “Jews were murdered because the murderer considered the place that he killed them in to have a distinctive Jewish flavor.” The phrase in Hebrew is “makom im sameman yehudi bolet.” The Hebrew word “bolet” is hard to translate, but means something that stands out, literally or figuratively. “Sameman” is flavor in the sense of a characteristic. Some, including Avital Chizhik-Goldschmidt, an editor at the Forward, have argued that far from avoiding the term “synagogue,” Lau was specifically addressing the topic in a way most likely to sway his haredi Orthodox followers. As for his Sephardi counterpart, Yosef chose a formula that avoids the word “synagogue,” but his statement clearly embraces the Pittsburgh victims as fellow Jews. Our coverage of Lau’s remarks – OK, my coverage of Lau’s remarks, since I edited the item and only checked it against The Washington Post report – shows the pitfalls of working too fast and not checking original sources to the degree that we can. I should have done better. None of this puts to rest the ongoing conflict between non-Orthodox Jews in America and the Chief Rabbinate. Nor am I suggesting that the legal challenges and religious activism will not, or should not, resume in earnest once the tragedy of Pittsburgh is fully absorbed and its dead appropriately honored. But this does appear to have been a moment of one Jew feeling, and appropriately expressing, profound pain for another. That’s something to build on.